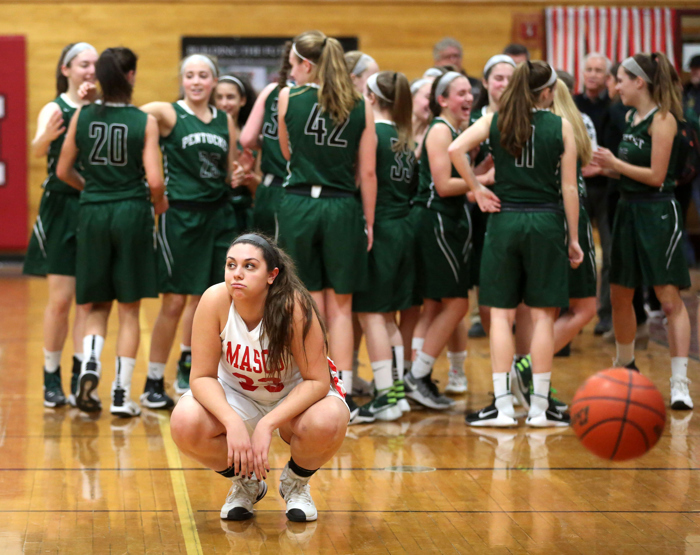 After the final buzzer rings, Masconomet senior Stephanie Mini reacts to her team’s loss while Pentucket High School players celebrate behind her. Despite Masconomet’s home-court advantage, Pentucket won the game 50-40. 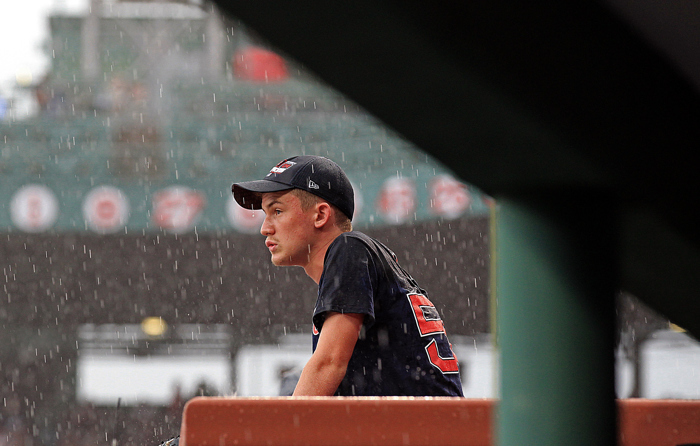 A fan waits out the rain delay before the Boston Red Sox vs. Toronto Blue Jays MLB game at Fenway Park. 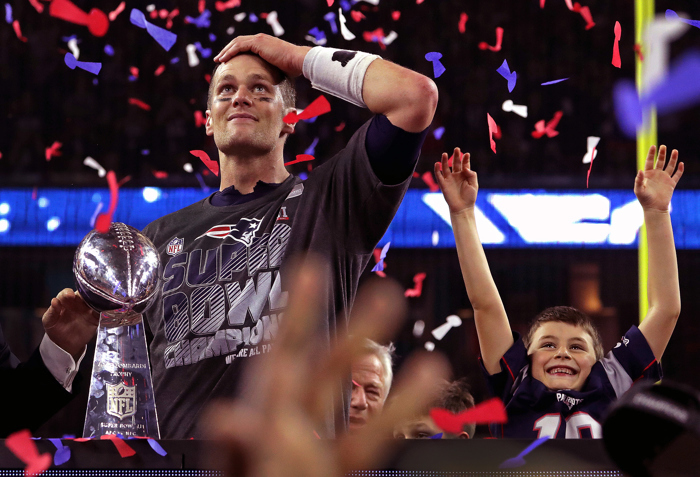 New England Patriots quarterback Tom Brady and son Benjamin celebrate with the Lombardi trophy after the Patriots defeated the Atlanta Falcons 34Ð28 in overtime after trailing 28Ð3 during the third quarter of Super Bowl LI at NRG Stadium in Houston. The Patriots’ 25-point comeback is the largest comeback in Super Bowl history. 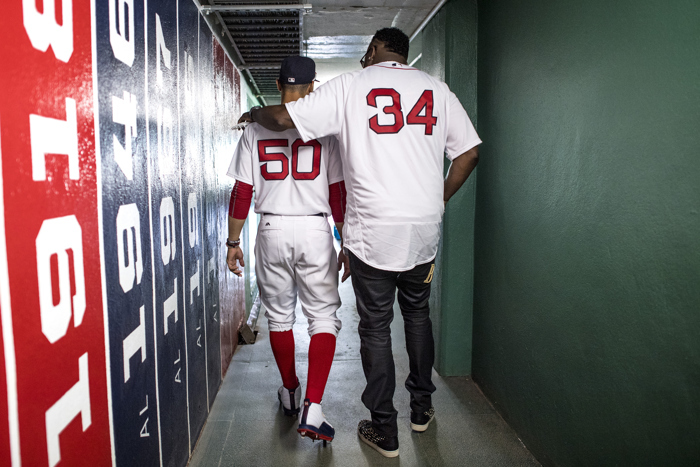 Former Boston Red Sox player David Ortiz walks through a hallway with Mookie Betts #50 of the Boston Red Sox before a 2007 World Series Champion team reunion before a game against the Kansas City Royals on July 30, 2017 at Fenway Park in Boston, Massachusetts. 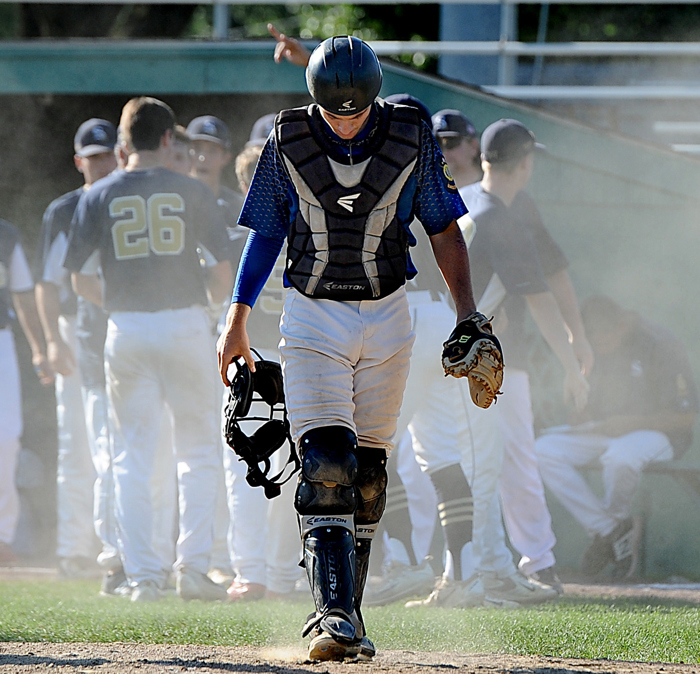 Ashland American Legion Post 77 catcher Sean Jewett walks away as dust rises from scoring Shrewsbury runners during Post 77’s season-ending loss in the American Legion state tournament at Fino Field in Milford. 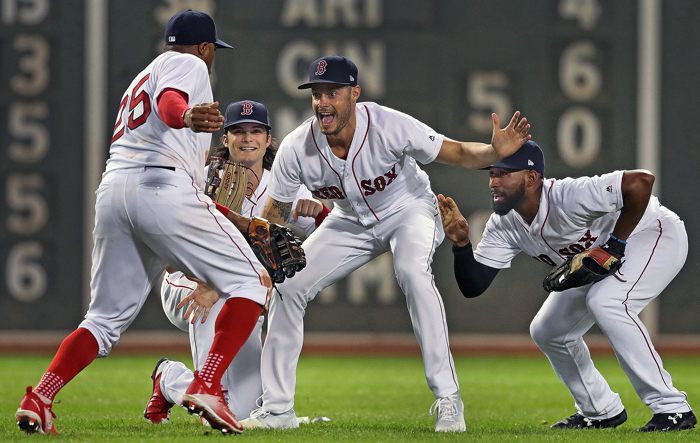 As Red Sox outfielders Rajai Davis (25,left), Andrew Benintendi, and Jackie Bradley , Jr. (right) were doing the traditional post victory fake photo shoot in centerfield, relief pitcher Joe Kelly (center) photobombed them as he ran in from the bullpen to join the party. Boston defeated Toronto 10-7.